Café chairs need to be practical as well as comfortable and stylish. Our selection of café chairs are ideal for use in cafes, bistros and eateries as well as in homes and at breakfast tables. The majority of our café chairs are suitable for both indoor and outdoor use. We supply café chairs made from aluminium, tekwood, plastic and wood. Features of our café chairs include being stackable, for easy storage, waterproof, rubber feet and available both with and without arms. 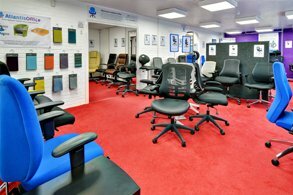 Whether you are looking for something unique, modern or traditional Atlantis Office is sure to have something for you. Our colour options span from lightwood to vibrant plastic seating. We supply Cafe and Bistro Chairs nationwide which all include a free delivery option which is swift and hassle free. Our commercial Bistro and Cafe Chair range is diverse and attractive, meaning we can supply comfortable Bistro and Cafe Furniture to suit all customers. Our range of seating is easy to pair with our range of Cafe and Bistro tables. The Icon is our moulded plastic side chair suitable for both indoor and outdoor use. It features a t.. The Plaza aluminium chair is suitable for use both indoors and outdoors, with a durable aluminium .. The Real Cafe Bistro Side Chair is our polypropylene, glass fibre reinforced, stackable arm cha.. The Plaza wicker chair is suitable for use both indoors and outdoors, with a wicker seat available .. The Mint Molded Plastic Arm Chair is available in a dark grey colour, it is very robust and is .. The Real Cafe Bistro Arm Chair is our polypropylene, glass fibre reinforced, stackable arm chai.. The Stag Outdoor Cafe Side Chair is available in a choice of 3 colours (Black, Grey and Mocca) .. The Spring Cafe Bistro Side Chair is part of the Spring Outdoors Range, it is our polypropylene.. The Time Outdoor Cafe Bistro Chair is one of our stunning new cafe bistro chairs, it features a..  The Sun Stackable Outdoor Side Chair is our black, outdoor wicker weave side chair, it has a hi.. The Rock Cafe Bistro Side Chair is our extremely durable, stackable, side chair. It is availabl.. The Spring Cafe Bistro Arm Chair is part of the Spring Outdoors Range, it is our polypropylene,.. The Stag Outdoor Cafe Arm Chair is available in a choice of 3 colours (Black, Grey and Mocca) a.. The Sun Stackable Outdoor Arm Chair is our black, outdoor wicker weave side chair, it has a hig.. The Panda is our French styled cafe bistro chair. It is available in black and white or blue and whi.. The Vibe is our retro inspired side chair suitable for both indoor and outdoor usage. It is availabl.. The Skye Cafe Bistro Arm Chair is our very stylish cafe bistro chair, it is made with reinforce.. The Breeze is our retro inspired side chair suitable for both indoor and outdoor usage. It is availa.. The Buzz Cafe Bistro Side Chair is our well crafted, stackable side chair. With the Buzz's stai.. The Stag Comfort Cafe Arm Chair is available in a choice of 3 colours (Black, Grey and Mocca) a.. The Morph is our lightweight chair, suitable for both indoor and outdoor usage. It is ideal for Cafe.. 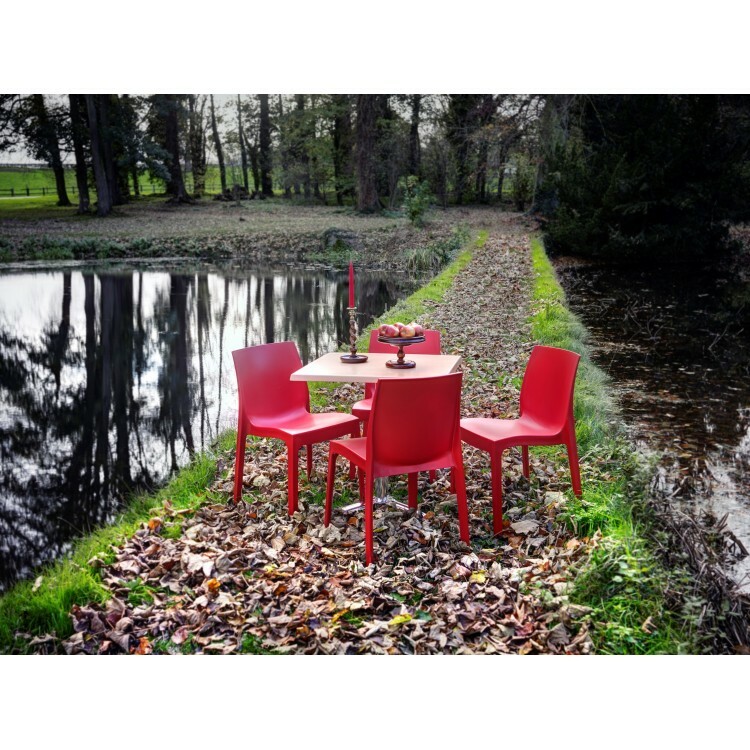 The Arch Side Chair is part of the Arch range, it is ideal for outdoor use, it is made with a s.. The Arch Arm Chair is part of the Arch range, it is ideal for outdoor use, it is made with a st.. Suitable for indoor and outdoor use with a lifetime guarantee. New innovative design, resulting in ..
Aluminium multi-function chair for any indoor or outdoor area. Aluminium fra..